Vegan Eats and Treats! : Cookin' From "Isa Does It"
Cookin' From "Isa Does It"
For some reason, even though "Isa Does It" came out a while back, I hadn't really delved into it -- until recently. In the last month or so, I've made so many recipes from IDI, and we've been eating well! I've been having lots of fun flipping through the pages (and photos!) and choosing recipes to make. Blogging in the winter time is a little sad, because we always sit down to eat well after dark, and it's not that fun to take yucky indoor food photos after dark. I've been making lots of delicious dinners and thinking "no one wants to see my yellowy photos from 9pm." So, I made a bunch of recipes from Isa Does It and didn't even bother to photograph them. Like a totally rotten, no-good blogger. I made (and enjoyed!) the Lentil Quinoa Stew, the Orange Chicky Seitan, and a few others that all went undocumented. But then I thought, "this is ridiculous!" -- and I just decided to go forth into the stark reality of winter-time blogging and share with you my substandard pictures of some delicious meals. So there. For some reason, no one sells sweet potatoes at our farmers market, so I used a butternut squash instead. I loved the flavors and textures in this soup - and I always love a good one-pot meal like this. Hearty and warm and satisfying, but not too heavy. I used some store-bought red curry powder and added an extra tablespoon of the stuff, because it wasn't too intense. These little tempehs were the star of the show! So easy and yummy. Mr. VE&T was trying to eat them all out of the pan: hands off, dude!! 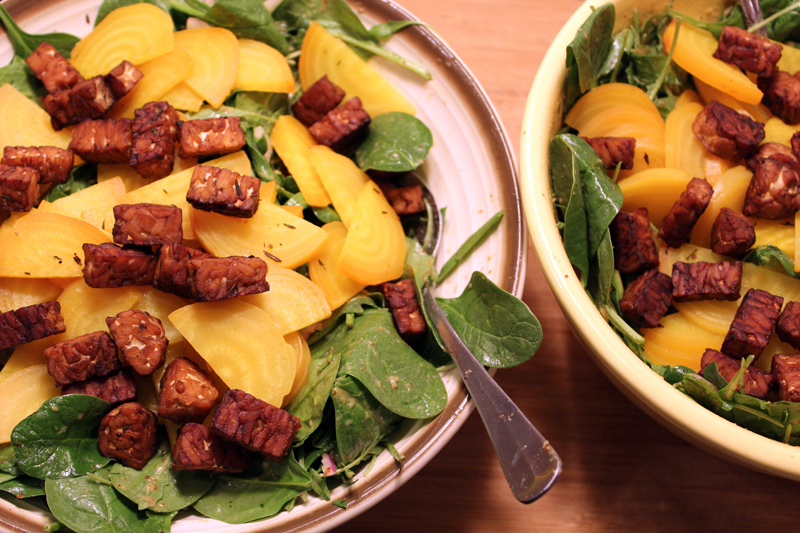 I loved this salad, and I love golden beets and (secretly) I was also sneaking some of the tempeh croutons out of the pan before they made it to the salad bowls. Those buggers are good. Also, this dressing was essentially effortless to make and went great with the salad. 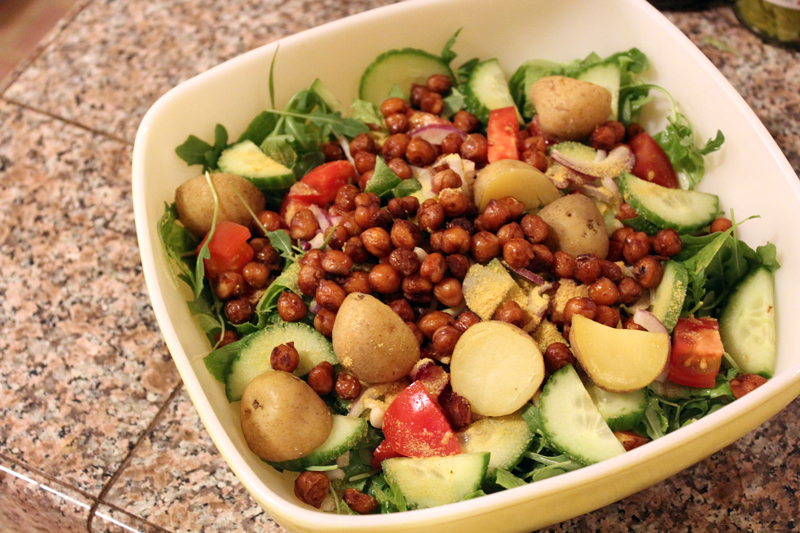 Honestly, neither of us were big fans of the avocado ranch dressing for this salad -- but we both agreed that the toasty chickpeas were magical, and that the essential elements of the salad itself were totally great. So, I'm pretty sure I'll make this again and just use a different ranch dressing recipe. Plus, I really like cooked potatoes in salad. Somehow, they make a salad feel so much more substantial and like a valid dinner. The Citrus Bowl is one of my favorite Isa Does It recipes - it's quick and delicious. And, like any good "bowl," it has all your needs in one food experience: protein, veggies, sauce, grains, cooked and fresh components... So perfect! As you can see, I usually use my panino press for tofu and it works like a charm. I've seen all the "make tofu in your waffle iron" pics going around on the internet lately, but I'm sticking with my panino press. It's super easy to clean, which is definitely a major plus. Also, I won't have to worry about savory garlic bits tainting my next precious waffle experience. God Forbid. This was a great and easy dinner to throw together. 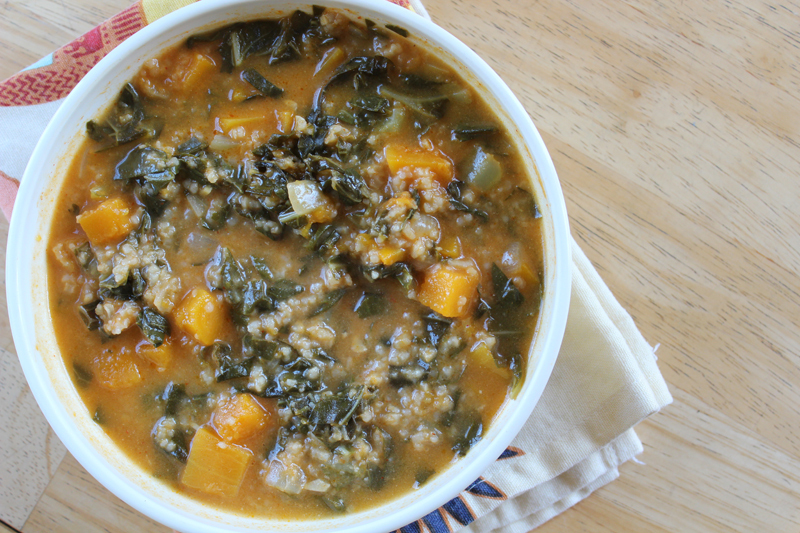 A good stew - kinda like a good "bowl" - has everything in it: grains, veggies, greens, beans... The flavors in this were warming but not too intense in any one direction. I also got to use up some of my frozen corn and tomatoes from the summer... so this recipe helped me with my freezer-clearing project! Here's a day time picture for you! On Valentine's Day, we made a special breakfast of Banana-Walnut Pancakes, Tofuevos, fresh OJ from our tree, hot coffee... and his and hers maple syrup. I'm all about the "real deal," and Mr. VE&T prefers the Log Cabin syrup. To each their own! Given our freakish summer-all-year weather, we even ate our breakfast outside in the sun. Of course, the pancakes were perfect. If you've never tried this recipe, you really should give it a go. It's my number one favorite pancake recipe. This time we added bananas and walnuts for an extra special treat. As you can see, there were more than we could eat that morning, so I had leftover pancakes for breakfast the next day too. Mmm. There are so many more recipes from Isa Does It that I still want to try. 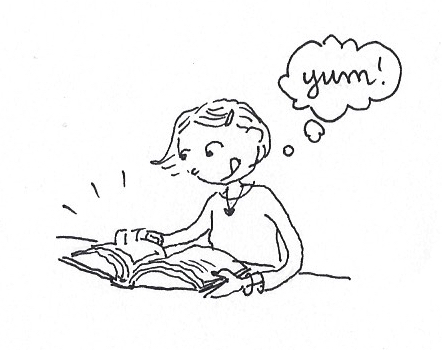 I have a long list with "recipes to try" and I'll slowly make my way through it. I'm sure you'll be seeing another IDI post sometime soon! And, if you have any favorites from this book - please share your tips! We love Isa Does It! Everything we've made from the book (including the sweet potato and red curry soup and spicy Incan stew that you made) has been delicious. 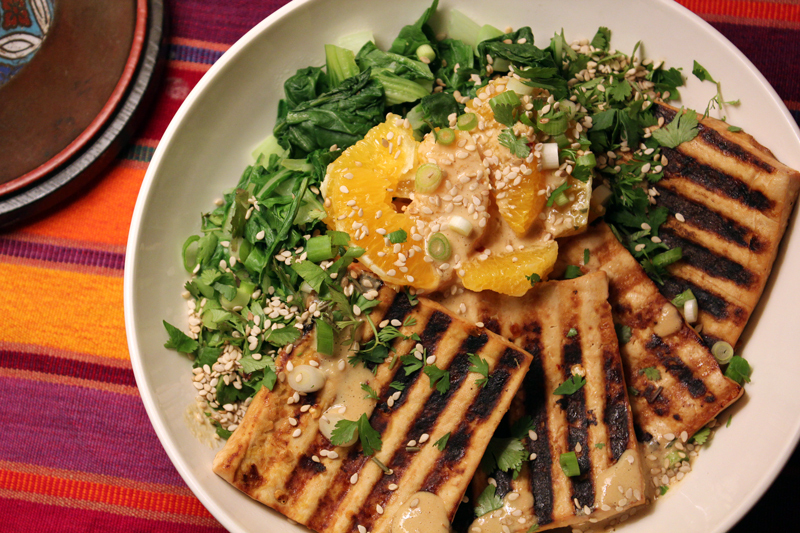 I'm glad you took a few photos — the citrus tahini bowl is especially inspiring! Not only do I love the recipes, but the book itself is so beautiful. I also love this book but am amused that I haven't yet tried any of the recipes you mention. Now I'll have to! Some of our favorites: Harira (some omni friends make this weekly now that they had it at my house! ), Cheddary Broccoli Soup, Sweet & Sour Brown Rice Salad, Olive-Lentil Burgers, Roasted Red Pepper Mac & Cheese, Creamy Sun-Rdired Tomato Penne, Eggplant & Bread Crumb Fettucine, Pesto-Cauliflower Pasta, Tofu-Mushroom Stroganoff. I could keep going flipping through my book so let me know if you want my other favorites but based on the above you can tell I really, really, really like this cookbook. And by the way, I also wasn't thrilled with the avo salad dressing. I've made probably half the book now, it's all so good! I love this book too! Our family favorite is the PIZZA BOWLS which you HAVE to try. I also need to make the Curry Peanut Tofu bowl again - it was so simple but delicious! If you didn't love the avocado ranch, try the cucumber ranch. My husband was mental for it! I can't wait for cheap cukes just to make that sauce. Make the roasty soba bowl!!! I need to do more of the baked goods. I like being hut font like having the sweets around so I do so sparingly. The chocolate cherry mini loaves made as muffins are an absolute favourite. Awesome roundup! This is such a good book. Have you tried the dilly stew with rosemary dumplings? It's so delicious! I've made it so many times I don't need to look at the recipe anymore. I love EVERYTHING I've made from this book! Those pancakes are great. The soups are all amazing. The Sesame Slaw was really delicious. ALL SO GOOD, and truly easy. Haha, good call on the waffle iron. I like using mine for 'fu, but I'm pretty sure my next batch of waffles will have an errant zest of garlic. I need to make that beet salad with the tempeh croutons! It looks like a salad I could stomach in cold cold winter. I love this book, I have made so many things from it! I love IDI! It was one of the last things I packed before I left Brighton & I need to try the citrus tahini bowl as soon as we're reunited! I make tofu in my panini press too! It's so easy, and you get those great lines :). I bought Isa Does It a while ago, but I haven't actually cooked anything from it! I have a bit of a buy-then-shelf issue ;) I'm going to have to try that citrus bowl though, it looks delicious! Is it weird that, right after I thought, "Hey, today is the Spring Equinox", I thought, "Ooh, I can't wait 'til the photos of this year's VE&T NoRooz feast are up!" Thank you for sharing your art, photos, and recipes with us. Your blog is so much fun!